Grocery store boxes are designed to carry groceries. There are lettuce boxes, banana boxes, wine bottle boxes, and many others. The technology of sophisticated packaging is actually an amazing American contribution. Manufacturers design boxes specifically for their product—to maximize the efficiency in their handling. Banana distributors have a box that allows them to get the most bananas on a truck and train boxcar as possible—the same with the lettuce and wine bottle distributors. Distributors of jug-size wine bottles use a taller and thicker box than distributors of lettuce who use a shorter, thinner box. So back to your friend’s question. The grocery store boxes may be free, but they have limited utility for a household goods move. Remember that a move is laborious and time-consuming. The reason you are reading this in the first place is you are trying to learn how to make the move easier and smoother. 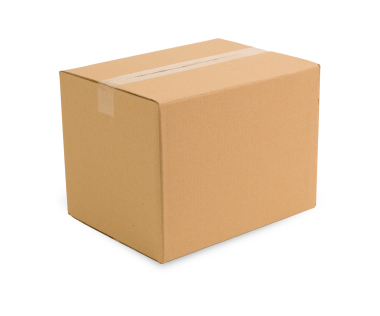 Moving boxes are specifically designed for the different categories of items in a household goods move. “Dishpack” boxes are “double-thickness” because they will contain fragile dishes. They are just the right size so when full, though heavy–they are manageable for the Movers to move around, especially with a hand-truck. “Book boxes” are small, because books are heavy. When it is full of books, it is a manageable weight for Movers to carry and wheel around on a hand-truck. The book box’s thickness is just right for the weight of books—not too thin, and not too thick. A “linen box” is wider than a dish-pack, but shorter. It is just the right size for sheets; comforters; sweaters; shirts; pants, shoes etc. There are several other size boxes—each designed for a certain category of item, based on the size, shape, and relative fragility of that item. wants to get the most of his products into a truck load—Guess what? You can get more of your items into a truck when they are packed in moving boxes than when they are packed in the all the different assorted boxes you will find at the grocery store. Remember the last time you used grocery store boxes for your move. They didn’t stack very well in the truck, because you had so many different sizes. And if you had just one size of box—either that size was too small or too big for many items. Have you ever tried to move a large box full of books? And when you pack dishes in a grocery box, you have a box with cardboard which is way too thin to securely protect the fragile dishes inside. Remember that when a professional mover is moving items that you pack—their liability is very limited for any breakage that might occur. They are not going to compensate you for your broken china when it is packed in a lettuce box. i) You don’t have to spend the time to purchase or transport the boxes to your residence. Remember, boxes are space-consuming, even when flat. A full set of boxes and packing material for a 2500 square foot house will not fit in a SUV. iii) If the Mover packs you using their boxes, it is clear they have full liability for any breakage. They cannot say the boxes were deficient or the packing was deficient since they packed you using their boxes. iv) This is the “Full-Service Option.” The Mover brings the boxes and packing materials and packs your items with no assistance required from you. i) If you are not already at the store anyway, then you have to make a special trip there. ii) Boxes and packing material are space-consuming. You may have to make multiple trips to get all the stuff home. iii) Unless the Mover or someone else knowledgeable has determined it for you—you don’t know how much or what to buy? What are all these different types of boxes anyway. What should I buy and how much should I buy. If you buy too much, it is doubtful you can return them for a full refund. If you buy too little, you have to make another trip back. v) If you’re packing yourself, then the Mover has very limited liability in the event of breakage. 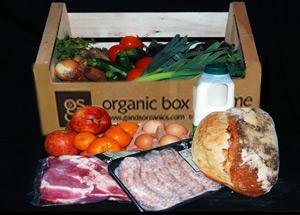 Option 3) Buy from a box wholesaler, and have the boxes and packing material delivered direct to you. You can find these companies in the Yellow Pages under “Boxes” or on the internet. i) Not economical for a small order since you will have to pay a delivery charge. ii) You have to coordinate being there at your residence to meet the delivery truck. Like the phone company, they will give you a “time window.” Hopefully it isn’t too wide. iv) If you’re packing yourself, then the Mover has very limited liability in the event of breakage.